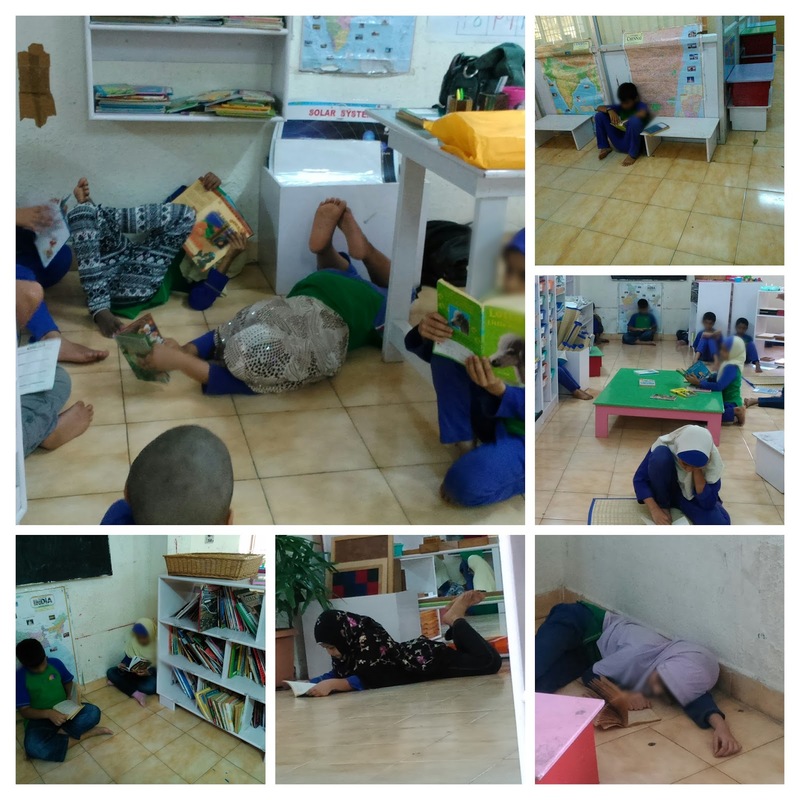 DEAR - Drop Everything And Read - a wonderful, eagerly looked forward to time on Friday afternoons, when Lower Elementary children snuggle down with a book. Everyone reads. Its downtime, funtime, "away into another world" time. In schools, one DEAR period a week is really helpful to get reluctant readers to pick a book. They can't be doing anything else in that time, right? Just flipping, checking out the pictures, glancing is absolutely fine for the really reluctant readers. Its really important that teachers also read. This is role modelling. 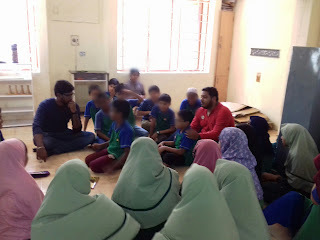 Kids will follow suit when they see their teachers also giving up everything to read. Sure, the first few times, there'll always be this kid who you feel you need to watch, remind, nag. Resist the urge. Its more important that s/he sees you as the teacher reading a book. Another way DEAR helps is go provide a downtime. 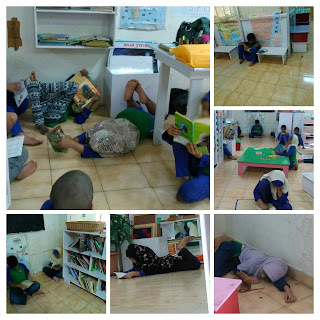 After an exciting, stimulating and pretty exhausting day at school, children learn to focus on the book, tune out the world. This calms them down while demonstrating a critical lifeskill - the ability to relax, tune out and read.